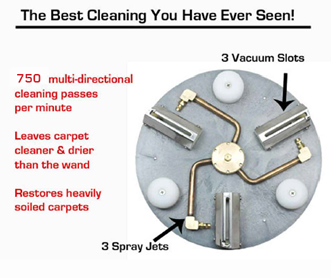 The Best Capert Cleaning you have ever seen! * Cleans from only 2 directions (back and forth) with a couple of cleaning passes. * Leaves many tough stains and shadowing in the carpet. * Cleans from all directions with hundreds of cleaning passes. * High torque motors do not get tired so the quality is consistent throughout the entire job. 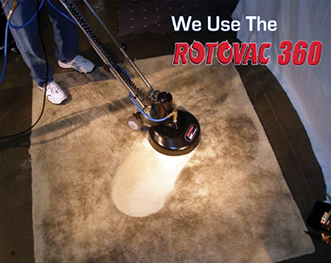 * Restores matted traffic areas and removes tough stains and shadowing that the manual wand leaves behind.